This heavy, finely worked plate employs what is known as Yarkand decoration – a decorative technique unique to Kashmiri metalwork. 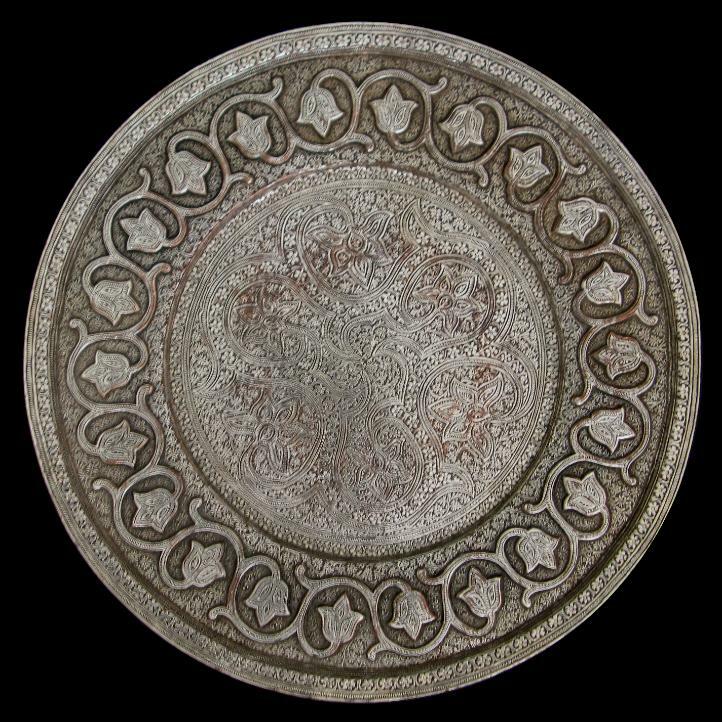 The plate is decorated all over with the Kashmiri mosaic pattern and the wide rim is enhanced with raised kinj decoration to give a dramatic and tactile effect. 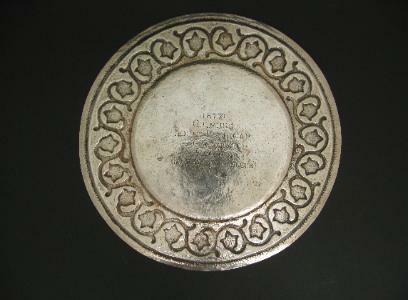 A plate of very similar design is illustrated in Wilkinson WRT, Indian Silver 1858-1947, 1999, p. 112.